It's present day South Carolina and Isabel Griffin is an archeologist as well as as a single mom to her daughter, Finn. Without her best friend, Ryan, and her father's support, she would truly be lost. She can't even rely on her mother as she vanished many years ago. Her former-fiance, Max, is also the father of Finn and very similarly to her mother, he went missing many years ago; at this point, she assumes he is dead. That is until strange things start happening. Finn starts talking about seeing her dad and even Isabel is having strange dreams about him. The dreams are realistic and they are setting her back as she has really built herself a new life as a professor at the College of Charleston and is hoping to move forward. While on a dig in Barbados, she discovers something that simply shouldn't be there and to top it off, there's a strange phone call. This all leads Isabel to wondering if Max is really dead? Could he still be alive? The narrative switches from Max's point of view back to Isabel's, so readers get a full story. The Dream Keeper's Daughter by Emily Colin is an entertaining "historical beach read" that fans of time travel, mysteries, and romance will enjoy. I really enjoyed the unconventional character of Isabel in The Dream Keeper's Daughter. She's tough, she's an archeologist, she's good-looking; in fact, she's seems to be a female version of Indiana Jones. I enjoyed her relationship with her daughter, Finn, as well as her best friend, Ryan. Although I felt like Ryan was a little to good to be true sometimes, I still appreciated their friendship, which seemed to be turning into something more as the story progressed. Enter Max. I really liked his back story in The Dream Keeper's Daughter and readers find out he is trapped at his ancestral plantation in the early 1800s on the island of Barbados. The problem is that it's the time right before a really horrific slave revolt. He just wants to get back to Isabel and start their future, but how much time has passed by since he somehow slipped back to the 1800s? The setting of Barbados was very memorable in The Dream Keeper's Daughter. I thought Colin did a great job bringing it to life and what life must have been like on a plantation with slaves. Colin also did a good job keeping us on the edge of our seats, especially with the events surrounding the slave revolt. Then she would bring us right back to present day with Isabel, so it was a nice juxtaposition. 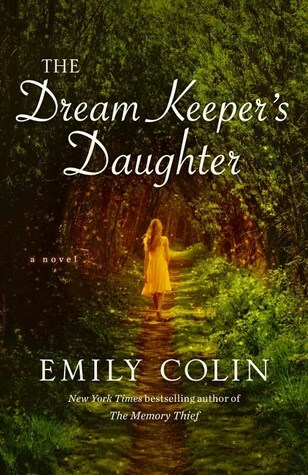 While I had to suspend my disbelief a few times while reading The Dream Keeper's Daughter, that didn't stop my overall enjoyment of the novel. 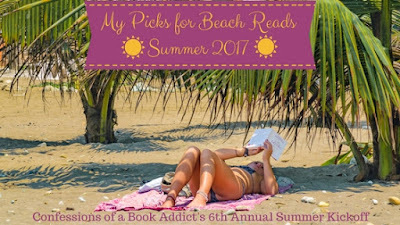 It was a fun summertime read that had a little bit of everything: time travel, historical details, romance, action as well as a mystery. I really love the sound of this one - I've been really into time travel books lately. Great review!